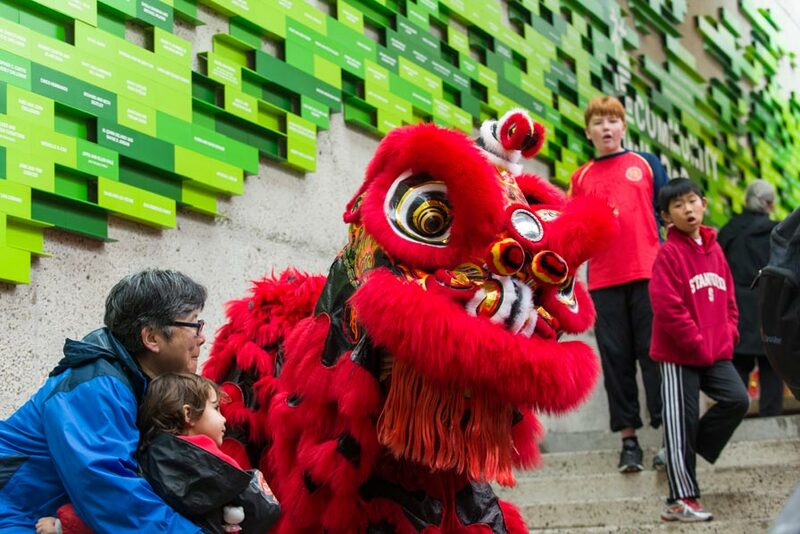 Join OMCA for the 17th annual Lunar New Year celebration, a fortune-filled family-friendly event to welcome in the Year of the Dog. Enjoy live performances and an array of Asian traditions in arts, crafts, food, demonstrations, and so much more. Explore connections between the diverse Asian cultures represented in California, including Chinese, Tibetan, Korean, Vietnamese, Malaysian, Japanese, and other Asian cultures. Watch spectacular lucky lion and dragon dances by Developing Virtue Secondary School, a magic show by illusionist Calvin Kai Ku, Japanese imperial court music by Northern California Gagaku Group, a colorful Philippine dance by American Center of Philippine Arts, a martial arts demonstration by Vovinam America, and Chinese yo-yo tricks, as well as traditional music, dance, drumming, and modern K-Pop dance by Korean Performance Group. Experience cooking demonstrations and hands-on activities all day long. Learn how to drink Gong Fu tea and make Vietnamese spring rolls, make a Tibetan prayer flag with Thangka painting master Jamyong Singye, and create your own Bok Jumoni, a traditional Korean lucky bag with artist Youngmin Lee. Join reading time with children's book author Oliver Chin for stories about Chinese zodiac animals and The Discovery of Ramen: The Asian Hall of Fame. Don’t miss a chance to play I Ching games and win prizes with School of Yimutology, and to get your fortune told! Families will enjoy a visit from live farm animals with Little Explorers Petting Zoo and, to honor the Year of the Dog, watch a Rescue Dog Demonstration by the California Rescue Dog Association (weather permitting) and the Family Dog Rescue will be onsite with adoptable dogs. Enjoy a delicious Asian-influenced menu or express grab-and-go items from Blue Oak café, as well as a selection of Asian-influenced food trucks to make a whole day of your visit. Presented in collaboration with DEAF Media. All activities included with Museum admission. Free entry for children 8 and under. OMCA Members enjoy free admission and express entry at the Oak Street Plaza Membership table during the event. Learn more about Membership. All visitors are encouraged to use public transportation. OMCA is conveniently located one block from the Lake Merritt BART station. Limited flat rate parking will be available during the event for $7. Get more information on directions and parking. OMCA Festivals are made possible in part by generous support from the Oakland Museum Women’s Board and the Koret Foundation.